After rigorous third-party testing, the cam lobes show little-to-no wear1. We armed Signature Series with an advanced detergent system that protects against harmful deposits and low-speed pre-ignition (LSPI). Most new engines feature gasoline direct injection (GDI), often combined with a turbocharger to boost power and improve fuel economy. These new technologies, when combined with a poorly formulated motor oil, promote LSPI and threaten engine operation. LSPI is the spontaneous ignition of the fuel/air mixture prior to spark-triggered ignition. It occurs in today's advanced engines and is much more destructive than typical pre-ignition. 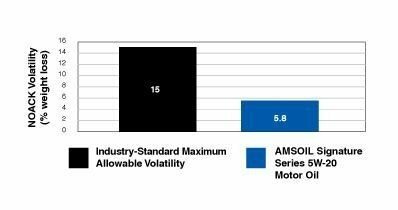 Original equipment manufacturers (OEMs) like GM* have addressed the issue by designing tests to determine a motor oil's ability to prevent LSPI. The GM test allows up to five LSPI events to receive a passing score. 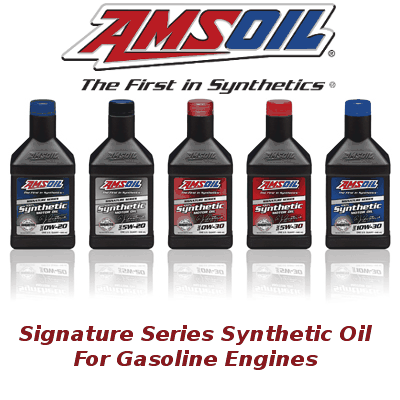 Signature Series Synthetic Motor Oil provided 100 percent protection against LSPI1 – zero occurrences were recorded. 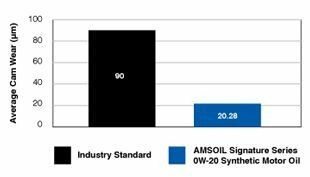 Based on independent testing of AMSOIL Signature Series 5w-30 motor oil, in the LSPI engine test as required for the GM dexos 1® Gen 2 specification. 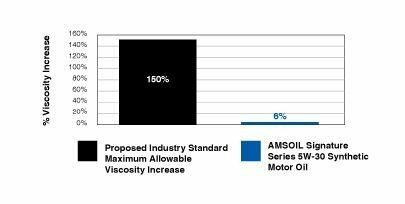 Based on independent testing of AMSOIL Signature Series 5W-30 in the ASTM D6593 engine test for oil screen plugging as required by the API SN specification. 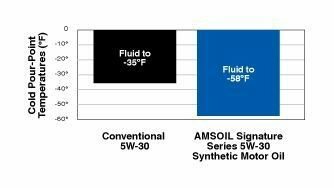 We formulated Signature Series with superior thermal durability that resists breakdown better than conventional and synthetic motor oils. 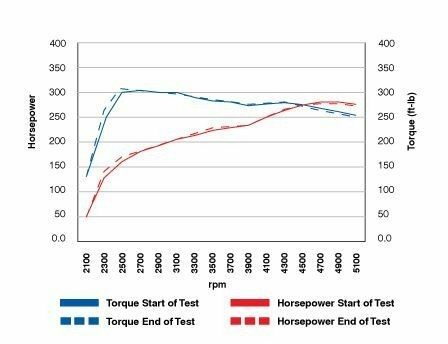 The Sequence IIIH Test uses the Chrysler 3.6L Pentastar engine to evaluate a motor oil's ability to resist the damaging effects of heat. The test is conducted with oil temperatures of 304°F, 100°F hotter than normal operation, to accelerate oil thickening and deposits. Despite the extreme conditions, Signature Series kept pistons clean and held thickening to only 6 percent, a minimal amount compared to the proposed specification limit of 150 percent.1 This stay-in-grade performance helps maintain maximum power and fuel economy while also ensuring advanced technologies like variable valve timing (VVT) operate as designed throughout the entire drain interval. API SN (Resource Conserving), SM…; GM dexos1 Gen 2 (supersedes 6094M); ACEA A1/B1; Ford WSS-M2C947-A; Chrysler MS-6395; ILSAC GF-5, GF-4… Fortified with detergents that exceed the dexos1 Gen 2 sulfated ash specification. 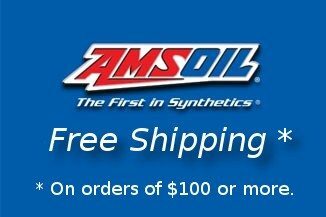 API SN (Resource Conserving), SM…; GM dexos1 Gen 2 (supersedes 6094M); ACEA A1/B1; Ford WSS-M2C945-A, WSS-M2C930-A; Chrysler MS-6395; ILSAC GF-5, GF-4… Fortified with detergents that exceed the dexos1 Gen 2 sulfated ash specification. API SN (Resource Conserving), SM…; GM dexos1 Gen 2 (supersedes LL-A-025, 6094M and 4718M); ACEA A5/B5, A1/B1; Chrysler MS-6395; ILSAC GF-5, GF- 4… Fortified with detergents that exceed the dexos1 Gen 2 sulfated ash specification. 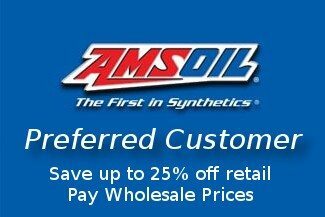 API SN (Resource Conserving), SM…; GM dexos1 Gen 2 (supersedes LL- A-025, 6094M and 4718M); ACEA A5/B5, A1/B1; Honda HTO-06; Ford WSS-M2C946-A, WSS-M2C929-A; Chrysler MS-6395; ILSAC GF-5, GF-4… Fortified with detergents that exceed the dexos1 Gen 2 sulfated ash specification. API SN, SM…; Ford WSS-M2C931-C (Mustang*).